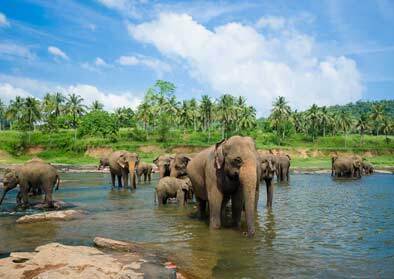 Visiting the destinations and activities on your own plan will be a remarkable experience in Sri Lanka. 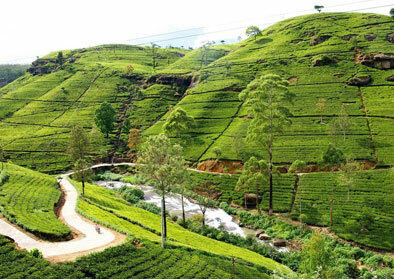 Tailor-made tours of Leoland Travels will assist you for a perfect tour inside Sri Lanka. Transfer to Yapahuwa en-route visit Pinnawala Elephant Orphanage. Pinnawala Elephant Orphanage - started in 1975 to house the abandoned and the wounded, the orphanage has grown to be a big family today. The number of elephants has increased to more than 40 now, including baby Elephants brought from various parts, as well as the babies born, as a result of the captive breeding programme. A unique experience never to be missed. Thereafter, leave to Yapahuwa and check in the hotel and leisure. In the afternoon, visit The Arankale monastery. The Arankale monastery - Huge trees, creepers and stone pillars scattered around Arankale speak of an intriguing civilization, a bygone era, while rare species of insects, found in abundance, tell of a rich, biological heritage. However, Arankale is not an old kingdom or a palace, which once sheltered a mighty king. The whole forest was designed for another purpose. It was built to shelter the Buddhist monks who spent their time in meditation to reach the ultimate state a human can ever reach. The Arankale monastery was improved upon by King Jethatissa. The Arankale forest land was chosen as the suitable place, considering the security it provided. The land is surrounded by the ancient dolukanda, dunkanda and madukanda mountains and are full of trees with medicinal and timber value. After King Jethatissa, King Mahasen and King Buddadasa too added their touch to the monastery. It is believed that King Buddadasa, who was also a specialist in ayurveda, instructed the planting of medicinal plants around the monastery. Today none of these remains except for the ancient trees and creepers which protect the monastery from the greedy eyes of treasure hunters and tree cutters. However, the Buddhist monks still use these grounds for meditation. Eighteen bikkhus attached to the Arankale Maliyadeva Senasana continue with their meditation using the new and old meditation apartments available to them. Dinner & Overnight stay Hotel in Yapahuwa. After breakfast climb the Yapahuwa Rock fortress. YAPAHUWA is a rock fortress turned into the Capital of Sri Lanka in the 13th Century By King Bhuvanekabahu I (1272 1284 A.D.). 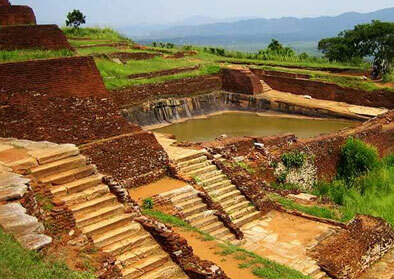 Unlike Sigiriya, the palace was not built at the summit of the 300-foot rock, but, instead, two semi-circular walls, two moats and a Mud moat protected the royal palace complex. The stone staircase, reminiscent of Cambodian style, is among the handsomest on the island. Friezes of jubilant musicians, dancers and drummers decorate the last staircase and the porch above them. Also see the small Site museum at Yapahuwa, with more than 1300 Chinese coins and pottery, a beautiful stone window-the best available in the country, old paintings in the cave temple, remains of the Tooth Relic Temple and other ruins. Thereafter proceed to Sigiriya, Check in the hotel and leisure. 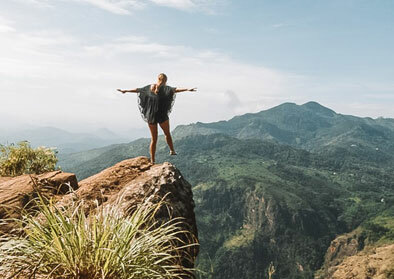 In the evening climb the famous Sigiriya rock fortress.Sigiriya - King Kassapa (477-495 A.D) who shifted the Capital from Anuradhapura to Sigiriya made a fortress to surround his palace, which was constructed on the summit of a 500ft high rock, with necessary facilities. The Palace was surrounded by an outer-moat and wall and Inner - moat and wall pleasure garden, Mirror-wall, light coloured and dark coloured damsels frescoes, to cover the western wall and a beautiful staircase through the body of a Crouching Lion are some of the attractions here. The boulder garden consists of caves where Buddhist Bhikkus lived and meditated. After Kassapa Sigiriya was given back once again to the Bhikkus. Dinner & Overnight stay Hotel in Sigiriya. Mihintale - Cradle of Buddhism in Sri Lanka. Mihintale is the first sanctuary in the world for Flora & Fauna declared in 247 B.C and is still a sanctuary. The King of Anuradhapura met the missionary Arahat Mahinda here, and the monument dates from 3rd C.B.C. When you climb 1840 steps you see Ambastale Dagaba, Maha Seya, Kantaka Cetiya, Alms Hall, Hospital, Kaludiya Pokuna, Naga Pokuna and other monuments. 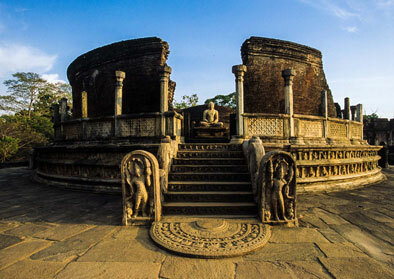 Polonnaruwa - the Capital of Sri Lanka from 11th - 13th Century, contains some splendid and spectacular status. Lankatilake, Tivanka and Thuparama are the most beautiful and largest shrine ruins and Tivanka has the best example of frescoes of the Polonnaruwa period. Rankot Vihara and Kiriwehera are well preserved large stupas, and Gal Vihare - a rock shrine, has four Buddha statues, two seated, one standing and one reclining and Parakrama Bahu statue are examples of Sinhalese stone carver. The Vata-da-ge is a unique creation of Sri Lankan artists. After breakfast visit Dambulla & climb Dambulla Caves Temple. Dambulla is famous for the five cave Temples on a rock. The first 03 caves are better, older and larger than the other two. Some caves dates to 1st C.B.C. All the 5 cave walls and ceilings are covered with Buddhist murals and there are more than 130 Buddha statues, statues of Gods and Kings are also found here. Thereafter leave for Kandy en-route visiting Spice Garden in Matale. Evening visit to the Temple of the Tooth Relic. Evening visit for Cultural Dance performance. Dinner & Overnight stay Hotel in Kandy. 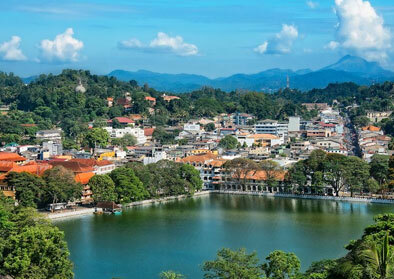 After breakfast commence city tour of Kandy, including Upper Lake Drive, Market Square, Arts & Crafts Centre & Gem Museum. Kandy The Hill capital, venue of the annual Perahera. The last stronghold of the Sinhala Kings was finally ceded to the British in 1815. Kandy is an example of the Buddhism’s influence in Sri Lanka today. Temple’s shrines and monasteries keeping alive Buddhist traditions are everywhere. Nuwara Eliya - The Little England of Sri Lanka, is set against beautiful backdrops of Mountains, Valleys, Waterfalls and Tea Plantations. It is supposed to be one of the coldest places on the island, but is really just like an England spring day although the temperature does drop at night. All around Nuwara Eliya you will see evidence of the British influence. Houses are like country cottages or Queen Ann style mansions. Evening commence city tour of Nuwara Eliya. Dinner & overnight stay Hotel in Nuwara Eliya. Horton Plains - The highest plateau at 7000ft (2134 meters) is a National Park, visited by tourists and a large number of Sri Lanka tourists. The Patnas in the lower parts, rising from the Marshes and streams extends up to the tree-line. The trees, stunted by the wind and mist, covered with Spagnum moss or old mans beard, and the jungle is full of rare and endemic plants. The red flowered Rhododendrons, or the Niloos that blooms once in 12 years, and the Butterflies, Birds, found only in the hill areas, the Bear Monkey, large herds of Sambhur, Leopard and other animals are found in the plains. The World End and Little World End with sheer drops of 3000ft to the plantation below and the beautiful scenery, are not found anywhere else in the country. In the evening, proceed to Maskeliya (Hatton) Check in the hotel. Leisure at Hotel till late night. 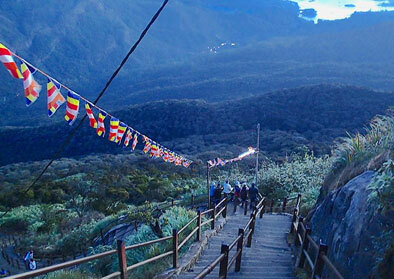 Adams Peak - All four major religions of Sri Lanka claim Adams Peak as a holy mountain. Buddhists call the mountain Sri Pada (the sacred footprint) and say it was visited by Gautama Buddha himself. To Hindus, the peak called Shivan Adipatham (the creative dance of Shiva) preserves Lord Shivas footprint. Muslims insist it is the place where Adam first set foot on earth and Roman Catholics say the footprint impressed in the boulder at the summit in that of St. Thomas, the early Christian apostle who preached in South India. Early morning coming down from Adams Peak and proceeds to Yala through Nuwara Eliya and Ella. Dinner & Overnight Hotel in Yala. Return to Hotel and having breakfast, there after proceed for selected hotel on the beach .